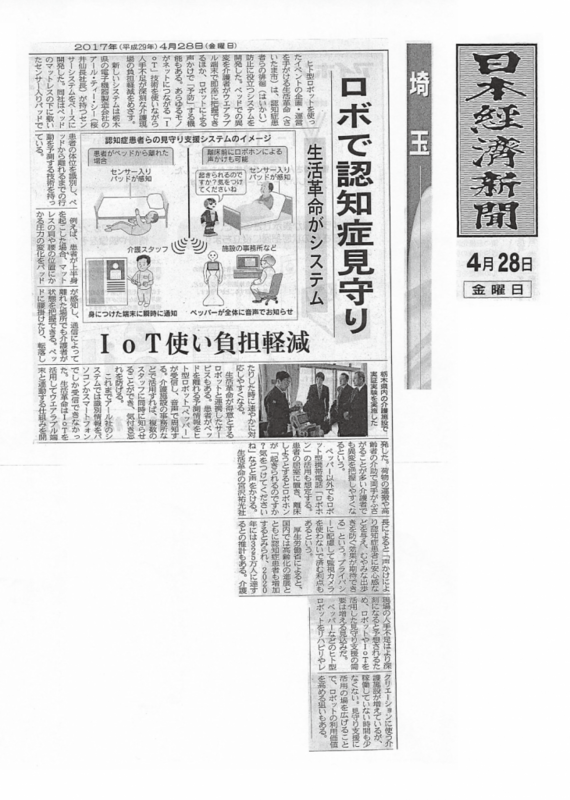 Our robot and smart watch-based system for monitoring the elderly has been published. The system has been realized with Seikatsu Kakumei’s strength of utilizing existing systems to cooperate, an existing sensor system (monitoring system) and two types of robots (Pepper and Robophone), along with a wearable terminal (Android Wear 2.0). Although our Pepper developments are frequently picked up, we also develop for other, new types of robots and IoT devices. *This elderly monitoring system is a service offered by RTC, Inc.